Dave McComb is Co-Owner of D.O. McComb & Sons Funeral Homes in Ft. Wayne, Indiana. Dave also owns Estate Security, Premier Preneed, Terra Services, Birkmeier Monument Company, Fort Wayne Financial, McComb Real Estate LLC and Eagles Wings Air. Mark and his brother Jim are co-owners of Busch Funeral and Crematory Services. In addition to his lifetime work at Busch Funeral and Crematory Services, Mark worked a summer at Hollomon-Brown Funeral Home in Norfolk, Virginia and a brief study on funeral and cemetery pre-arrangement at Forest Park in Houston, Texas. Mark is a 1982 graduate of Heidelberg College and an Ohio funeral director since 1984. He is Vice-President of Busch Funeral and Crematory Services and President of Normandy Insurance Agency, Inc. He serves as a trustee to numerous non-profit organizations. 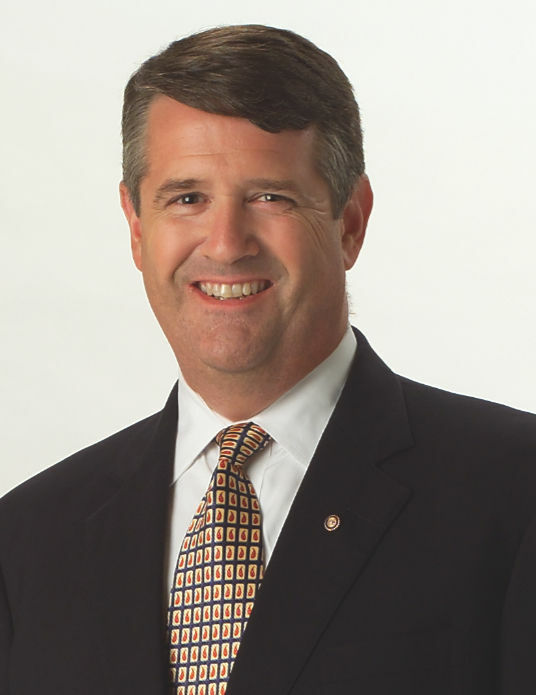 He currently serves the Ohio Funeral Directors Association (Mortuary Response Team Member), and has served the Funeral Service Foundation as past Chairman of the Board of Trustees. Mark is also a member of Selected Independent Funeral Homes, CANA and ICCFA. He has been a featured speaker at numerous Funeral Profession conferences throughout the country. Glenn’s diverse management and consulting experience has contributed to MKJ Marketing becoming the leading marketing influence in the death care industry. His new book “Deathcare Marketing, 25 FAQ’s”; has recently gained NFDA endorsement, and is in use by mortuary schools. Glenn’s articles appear regularly in major death care industry publications, and he is a frequent presenter on death services marketing at seminars and conferences. Glenn has testified in multiple civil suits between funeral homes as an expert witness, served on the Board of Directors of the Pittsburgh Institute of Mortuary Science and instructed the Small Business Class for the St. Petersburg College, School of Mortuary Sciences. He holds BA and MS Degrees. Buddy is a fourth generation funeral director and has been running the family funeral business since 1989. Prior to that, he worked in Washington, D.C. as a senior consultant with management consulting firm, Deloitte and Touche. He holds an MBA degree in finance from the George Washington University, a B.S. degree in Operations Research from the University of New Hampshire and an A.S. degree in Funeral Service from the New England Institute. He is a member of the New Hampshire Funeral Directors Association and is a freelance writer for several funeral service trade magazines. He is also a member of the Board of Trustees of the Visiting Nurse Association of Southern New Hampshire. Buddy is a lifelong parishioner of Ste. Marie Church and has served on several nonprofit Boards throughout the Manchester area. In his spare time, he coaches youth hockey and enjoys skiing, mountain biking, playing hockey and traveling. He lives in Manchester with his wife, Pamela, and three children, Mallory, Jonathan and Griffin. Wiefels Cremation and Funeral Service celebrate 100 years of family business in 2008. The fourth generation of the Wiefels Family currently operates the business. It is one of the oldest family run businesses that continuously operated in and around the Palm Springs, California, Coachella Valley. In addition, Mark owns The Cremation Society of the Desert and DaVall Center, LLC, a Real Estate holding and development company. Mark currently serves as President of the Association of California Cremationists (ACC) www.acccinfo.org as well as Vice President of The Cremation Association of North America. Mark holds a Bachelor’s Degree in Speech Communications from the University of Minnesota and a Masters Degree in Business Administration from the National University, San Diego, California. Jake obtained his education at Xavier University in Cincinnati where he majored in Management with an emphasis in Finance and Accounting. Starting his career as an Associate Director of Corporate Development at Keystone Group Holdings, Inc., he improved business systems and led programs that aided the company in acquisitions, budget analysis, and business value determination. Jake then went on to work for Palm Mortuaries and Cemeteries in Las Vegas, Nevada where he managed one of their large volume funeral homes. Francis J. Joyce & Sons, Inc.
Frank Joyce, a lifelong Waltham resident, is a third generation funeral director and the current owner of Joyce Funeral Home. Frank and his wife, Kathy, have five children. A graduate of Waltham High School, he attended Boston College and the New England Institute. He has served on the boards of several local charitable organizations. Mr. Varner is President and Chief Executive Officer of Cypress Lawn Cemetery Association in Colma, California, a not-for-profit garden cemetery in the San Francisco Bay Area. Mr. Varner is also president of Cypress Lawn’s for-profit subsidiary companies, Cypress Funeral Services and CFS Insurance Services Inc.
Mr. Varner spearheaded the addition of a new $30 million cemetery and the revitalization of community services that have expanded revenue from $3.9 million in annual service revenue in 1996 to over $25 million in annual service revenue in 2006. This includes the creation of an educational foundation, Cypress Lawn Heritage Foundation, for the promotion of Cypress Lawn as a historical record of California’s past and the preservation of Cypress Lawn’s historical arboretum. Mr. Varner was also responsible for the construction of a $10 million funeral home/cremation society/flower shop/reception facility within Cypress Lawn’s historic grounds, the first combination funeral home and cemetery facility in the San Francisco and San Mateo Counties. Active in a variety of industry Associations, Mr. Varner currently serves as the Treasurer for the International Cemetery Cremation & Funeral Association (ICCFA). He is also the Chief Financial Officer and a member of the Board of Directors for the Cemetery and Mortuary Association of California. In addition he is a member of the Funeral Service Foundation Board of Directors. Locally, Mr. Varner sits on the Board of Directors for the San Mateo Community Colleges Foundation and a private school. A Certified Public Accountant, Mr. Varner holds a Bachelor of Science degree in Accounting and Finance from the Oregon State University. He is a Certified Public Accountant. He has been actively involved in the funeral and cemetery industry since 1989. Mr. Varner and his wife Jo-Ellen live in Atherton, CA with their two sons, Kenny, 18 years old, and Peter, 15 years old. Mr. Varner is very active in Kenny’s school, the Stanbridge Academy in San Mateo, as well as the care of his special needs son, Peter. Michael Turkiewicz is the founder and President of FuneralNet located in Portland, Oregon. Prior to founding FuneralNet, Mr. Turkiewicz was Director of Sales for Prequest Inc., an aggressive pre-arrangement sales and marketing organization. Mr. Turkiewicz entered the death care industry with Hillenbrand Industries' pre-arrangement insurance subsidiary, The Forethought Group, the country's largest pre-need funeral insurance company. As a top sales representative, Mr. Turkiewicz developed marketing and advertising programs for many funeral home clients, including direct mail, newspaper ads/inserts, radio, television and telemarketing campaigns. Michael is a frequent speaker at funeral director and cemeterian conventions around the country as well as author of many industry articles for trade publications. FuneralNet was founded in 1996 and has grown to be the death care industry's leading provider of Web site development and Internet marketing solutions. FuneralNet's customer base includes funeral homes, cemeteries, cremation societies, state organizations, and death care vendors. FuneralNet's strength lies in its specific focus in the funeral industry. This concentration has allowed FuneralNet's clients to excel by having marketing, advertising, and most important, client-family care solutions unique to the death care industry designed exclusively for their businesses. The technology used in these sites is easily accessible once embraced by the funeral professional. Blair is proud of his service to his community and country. A retired Air Force pilot, Blair holds a Bachelor of Arts with Distinction from the University of Virginia, a Master of Aeronautical Science from Embry-Riddle Aeronautical University and earned an Associate of Funeral Science from John Tyler Community College. He served on the City of Richmond School Board and as an officer and director of numerous civic and business groups, including the Richmond Chamber of Commerce, the Hopewell Prince George Chamber of Commerce, the Metro Richmond YMCA, the Henrico Police Foundation and the Hopewell Rotary Club. Blair is a Mason and belongs to Acca Shrine and the Scottish Rite. He is a member of the Sons of the Revolution and the Honorable Order of Kentucky Colonels. Blair is proud to be a funeral director, serving as a Director of the International Cemetery, Cremation and Funeral Association (ICCFA), President of Preferred Funeral Directors International (PFDI) and is a Past President of the Independent Funeral Homes of Virginia (IFHV). In 2006, Governor Tim Kaine appointed Blair to the Virginia Board of Funeral Directors and Embalmers. He, his wife, Darcie, and two daughters, reside in Richmond. At Nelsen, we are proud of our more than 100-year history of commitment to excellence, community, and the families we serve. Our family has been serving Central Virginia families since 1892. Our dedication to our client families is summed up in our Mission Statement: "At Nelsen Funeral Home and Crematory, we strive to provide a meaningful celebration of your loved one’s life." Robert J. Biggins, CFSP, CPC is the owner of Magoun-Biggins Funeral Home in Rockland, Massachusetts. A first-generation funeral director, Biggins is proud of his role as a caregiver to families at his family-owned funeral home. Biggins passion for his profession and his desire to bring the best services and products to his community is a driving force in his day to day dedication to serve. Biggins became very involved in the Massachusetts Funeral Directors Association (MFDA), joining its board of directors in 1990 and serving as chair of its Public Relations Committee from 1992 to 1993. After serving as the association's First and Second Vice President, he served as MFDA's 1995-96 President. It was during this time that he realized the support and encouragement of his colleagues in New England for him to seek election to and to continue to serve on the Executive Board of the National Funeral Director's Association. His experience includes serving as an NFDA Policy Board member and as a member and leader of multiple committees, subcommittees and workgroups. He has served on the NFDA Executive Board as an At-large representative, Secretary, Treasurer, President-Elect, and President. Biggins also has been involved with activities at the New England Institute at Mt. Ida College, serving on its board of academic overseers as well as its Search Committee, and becoming a Naples Institute Fellow in 1998. He was awarded the Distinguished Service Award from New England Institute in 2000 and in 2001 he was humbled to be named Alumnus of the Year by Mt. Ida College. Bob is also a member of the Academy of Professional Funeral Service Practice, the Funeral Ethics Association, Rockland Kiwanis Club, Rockland Council, Knights of Columbus and the Rockland and South Shore Chambers of Commerce and is a partner in the Last Acts Coalition. He has been named a Kentucky Colonel for his selfless contributions to others by Ernie Fletcher, the Governor of the Commonwealth of Kentucky. He has been awarded the professional designation as a Certified Funeral Service Professional and has been awarded the Certified Pre-Planning Consultant designation both indicating and recognizing his fervent belief in continued professional education.